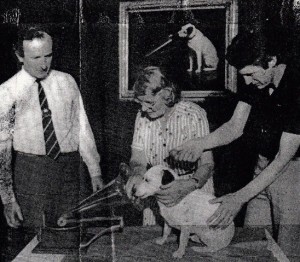 Jobs within the media can be busy enough at the best of times, but in July 1981, things became very eventful indeed for HMV Events and Marketing Manager, Trish Saunders. 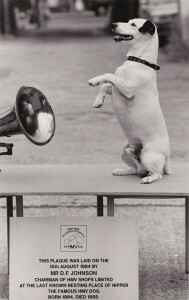 Working with Tony Brainsby Publicity, Trish embarked on a hunt for a real life canine lookalike of our much loved Nipper, who would be the star of the show at promotional events up and down the UK. 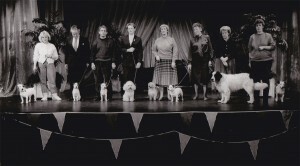 The winner was announced on That’s Life in 1990. 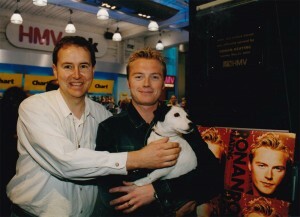 Quite unbelievably, the dog was called Nipper. 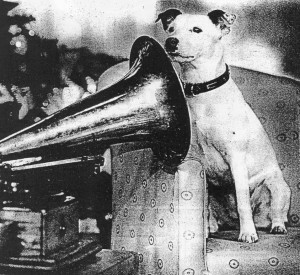 Hailing from Warrington, Nipper was owned by David and Mary Leigh. Alongside store openings, Nipper was part of such fantastic events as the art exhibition launch of the EMI Centenary celebration, which took place in Edinburgh in 1997.